With a built in Rain / Sun Cover & a gradual sloping front step its ideal for all little one's. 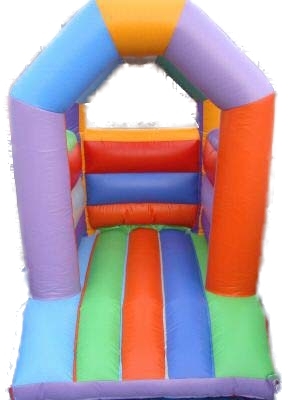 Lots of Bright Colours children will really enjoy and want to use this castle. (w)10ft x (d)15ft to allow for the inflation tube and air blower at the back of the bouncy castle, and safety mats at the front.